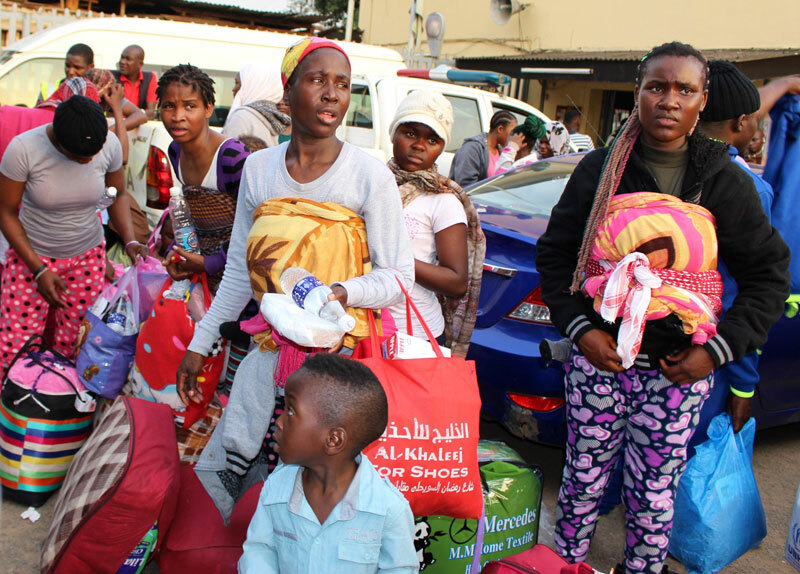 Libya - On 21 February, IOM helped 172 stranded Nigerian migrants – 110 women, 49 men, seven children and six infants – return home to Nigeria from Tripoli, Libya. The charter flight, which was coordinated with Libyan and Nigerian authorities, departed from Tripoli’s Mitiga airport. IOM also provided pre-departure interviews, medical check-ups and further assistance, including clothes and shoes. “We had nothing in Nigeria – no house, no food,” explained 21-year-old Oluchi*, who together with her husband and mother decided to travel to Italy. Oluchi and her family were arrested and jailed in Libya. Now, she is returning home with her son to Nigeria. At some point during the journey, Oluchi lost her mother and still does not know where she is or whether she is still alive. “The dream of Europe is actually a nightmare,” she said. Twenty-year-old Zauna* left her husband to try to reach Europe through Libya. When she left, Zauna did not know that she was pregnant. In northern Libya, she was arrested and spent several months in jail, until she gave birth to a baby boy. She then decided to return home with IOM assistance. Aisha* was abused by her former employer. The injuries she sustained included broken bones and burns and she was eventually admitted to hospital. IOM provided additional health assistance, organized a vulnerability assessment, provided psychosocial support at the hospital and found a host family, which took care of her for three weeks prior to her return. In Nigeria she will receive further medical assistance. The 19 most vulnerable cases on the flight will also be eligible for reintegration support in Nigeria in the form of being given the opportunity to start a small business or to continue their education. IOM will pay for any medical treatment that they need as a consequence of their time in Libya. The return assistance was funded by the UK Foreign Office and is part of IOM’s return assistance programme. So far in 2017, IOM Libya helped 589 stranded migrants return to their countries of origin, of whom 117 were eligible for reintegration assistance. *Please note that all migrants’ names have been changed to protect their identity.